The idea of having friends or family over for a party or even dinner may feel overwhelming. Maybe you are afraid you can’t find the time to prepare everything in one day or you will spend the entire evening in the kitchen instead of with your guests. I have had my fair share of entertaining at my home both intimate and larger scale and trust me once you do it a few times, it becomes easier. One of the most important things to remember is not to save everything for the last minute. Once you make a menu of food items you want to prepare, start making them earlier in the week or month depending on your time frame. This is where Reynolds Aluminum wrap comes in handy. Don’t have much time to prepare an appetizer or have unexpected guests? 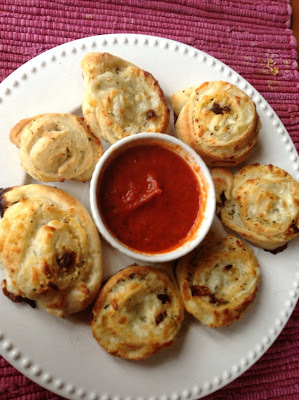 No worries, these Pizza Pinwheel Appetizers are easy to prepare and ready in minutes. If you don’t have the time to work with homemade dough, just grab a canister of pizza dough in the refrigerated section at the grocery store. You know what I am talking about. 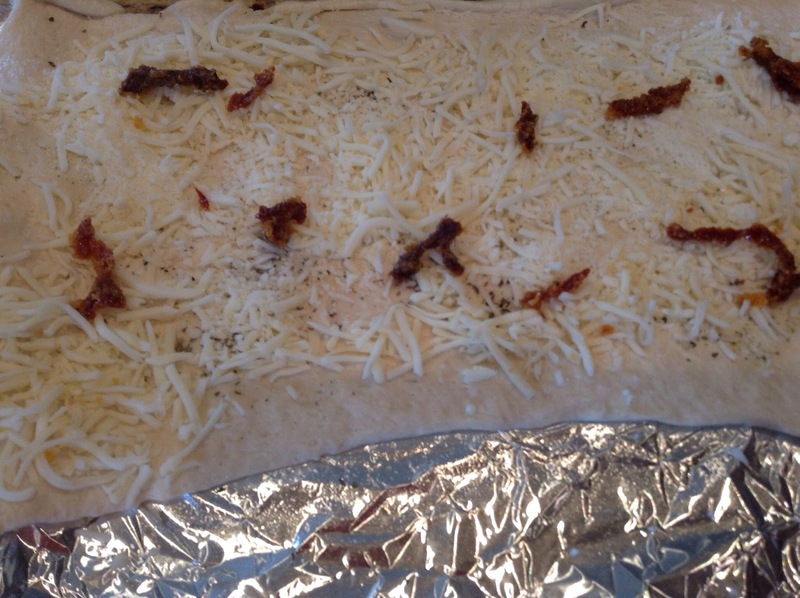 Roll it out into a rectangle and cover with your cheeses, spices and optional toppings. Place pinwheel slices, cut side down, on a greased sheet of aluminum foil. (If you are not ready to serve these right away, just wrap them in aluminum foil and wait until guests are about 15 minutes away from arriving. Bake and serve with some heated marinara or pizza sauce. They look elegant but take no time and who doesn’t love pizza? Best of all your clean up is simply throwing away the foil. Maybe throw some flour on the counter to make people believe you were slaving all day. If you are preparing a dip that requires cooked chicken like our favorite Buffalo Chicken Dip, make sure to roast your chicken on Reynolds aluminum wrap a day or two ahead of time. 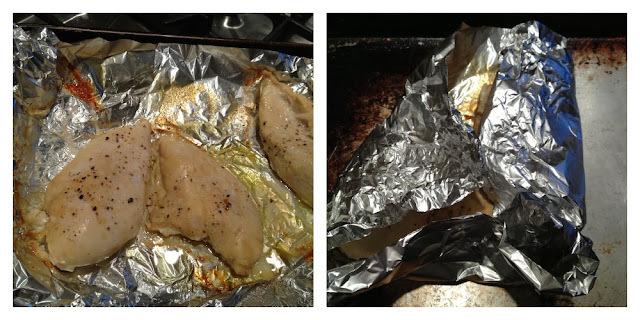 Then simply wrap the cooled chicken in the aluminum wrap and store in the fridge until you are ready to shred it. This dip stays uncooked in the fridge for a day or two covered tightly with Reynolds Aluminum wrap as well. Just take it out to get room temperature while you preheat the oven. This dip with make your guests coming back for more. It is strangely addicting and you can alter the spiciness based on your guest list. Grab a spoon it is that good. Good luck planning your next event and don’t be afraid to take offers to help, even a salad being prepared from a friend will take a burden off. 1 Preheat oven to 425 degrees. Press pizza dough into a large rectangle. 2 Sprinkle dough with garlic salt, basil, cheeses and pepperoni. Starting at the short end, roll dough up tightly to form a log. Slice into 1-inch pieces. 3 Place rolls on lightly greased baking sheets. Bake for 10 minutes or until browned on top. Serve with warm marinara sauce for dipping. Wednesdays are the only days to vote for Maria Long on Reynolds Real Moms. . Remember you can vote weekly but you can not vote via a mobile device….. Thanks for your support and please check out the tips these great ladies are sharing. ALSO DONT FORGET I am giving away a 6 month supply of REYNOLDS WRAP PRODUCTS. « Games for Easter–Twister Rave Ringz and Skip it Giveaway. I have got to make these pizza pinwheels. Every one in my family will love them. Thanks for sharing recipe. I want to try those pizza pinwheels,we love pizza around here. would be great for our work lunch carry ins! Thanks! love the pinwheels pizzas. your post was cut too! loved the flour on the counter idea. These look so yummy! Love that the sauce is one the side as I don’t like much on my pizza. Wow! Those pizza Pinwheels look delish!! My family would love those! I’ll have to make those for our next event!! That sounds so good! It looks like it would be really easy to make too. Those Pizza Pinwheels look delish! And so easy to make! Thanks so much for sharing the recipe, I will be saving it for the next time we have friends over (which also happens to be this weekend!). I LOVE that pizza recipe, my daughter could totally make that! And the buffalo dip – YUM! Thanks for sharing. Oh, that looks totally easy!! trying the pinwheel things for sure!! 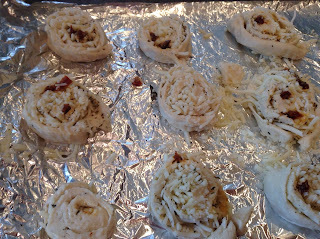 I love the pizza pinwheels recipe! So easy yet looks tasty. Thanks! I love my Reynolds and use it for almost everything! Thanks for this delicious recipe! Looks wonderful! Oh goodness, Sure looks yummy! Love the recipe and pictures, I will have to make this for my family.. Thank you for sharing. 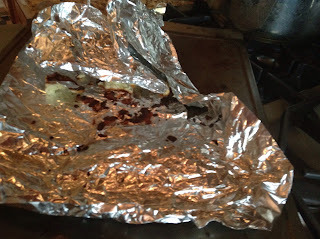 I always and mean always keep at least 2 rolls of Reynolds aluminum foil in the pantry! I use it for everything–both while cooking and storing leftovers–it is the greatest!! Those Pizza Roll appetizers sound really good-my stomach is now talking to me! As always these look fantastic!